“When budgeting for sponsorship revenue for a new event, go conservative. In other words, budget very little or nothing at all." When budgeting for sponsorship revenue for a new event, go conservative. In other words, budget very little or nothing at all. If you’re aiming for a break-even or profitable bottom-line for your event, make sure that you have other revenue streams (i.e. 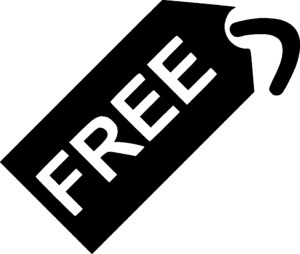 registration revenue) coming in to cover your event expenses. Do not rely heavily on event sponsorship dollars for a new event because it’s very hard to predict whether or not sponsors are going to be willing to invest in an unproven property. If you’ve created a budget that is dependent on thousands of dollars of sponsorship revenue and you miss your revenue target, you’re going to end up in trouble. The first step is to conduct a valuation exercise where you make a list of all your event assets and then calculate the tangible and intangible value of each. You do this in order to come up with a price for the sponsorship programs (or packages) that you’re going to pitch to your sponsor prospects. When pricing a property when it’s a first-time event or new event, my recommendation is to go low. Here’s why – you’re asking sponsors to take a leap of faith and trust that your new event is going to deliver on everything you say it’s going to deliver on. In order to manage sponsor expectations and protect yourself against the possibility that your event doesn’t roll out exactly as you envisioned it, price your sponsorship program lower than normal. If you limit the risk to sponsors in year one by offering them a lower sponsorship fee, they’ll be happy to come in at a higher price point in year 2. Sponsors are making a decision to partner with you on your event because of the people you’re giving them access to. So, in order to make your case with sponsors, you need audience data. The problem with a first-time or new event is that you have nothing historical to work with. Even so, you’re going to have to cobble together some information about your event attendees to prove to sponsors that the people they are trying to reach are actually going to be at your event. If you’re having trouble securing sponsors for your new event and just can’t seem to close the deal, but you do have a few that seem mildly interested, why not offer up a ticket or delegate registration? In order to keep a sponsor prospect interested (and maintain them as a warm lead in year two), you want them in the room in year one to experience the event. Even if they only pop in for an hour, if they like what they see, it will pay off when you go back to them in year two with a new pitch. Developing sponsorship partnerships is tough and it’s particularly tough with a new event or first-time event. Hopefully these tips help you avoid some of the common pitfalls associated with securing event sponsors. To learn more about sponsorship best practices, check out my blog on 5 Sponsorship Mistakes that are Costing You Time, Money & Credibility. I also share more on this topic in my latest vlog here. For more tips, giggles and everything in between, click here. Inviting a potential sponsor to pop in for a “look-see” is a great idea! They can access your audience and offerings and see what they are missing. 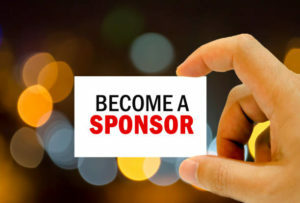 As an occasional sponsor and/or sponsoring exhibitor, I believe that even if you don’t have any available openings, it’s a great idea to invite sponsor hopefuls to your event as you are adding another prospect to your funnel! There is an annual event I would consider attending as an exhibitor and sponsor, but they wont let me in the door for 15 minutes to do an accompanied walk around. I wonder what are they hiding and why they don’t want me in to imagine the possibilities? Great observations! 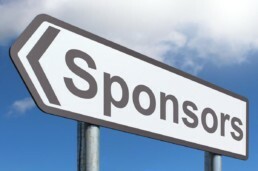 In my opinion, there is no downside to having potential sponsors/exhibitors ‘sample’ the opportunity as long as the event organizer is not offering up any advantages to a prospect that a committed sponsor has paid for. It’s important to keep things fair and to ensure that committed sponsors are treated fairly and with respect.